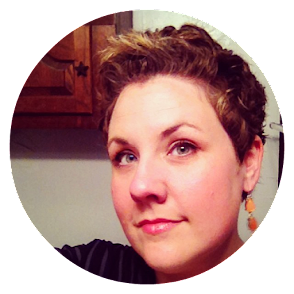 Estella's Revenge: Winning at the Clean Your Reader Challenge! Winning at the Clean Your Reader Challenge! I'm sad to see it end, but the Clean Your Reader challenge, hosted by Kerry from Entomology of a Bookworm, wrapped up at the end of March. I am happy to report that I spanked this challenge. Of the 29 books I've read this year, 21 of those have been on my e-reader! WHOA! I didn't even expect that. 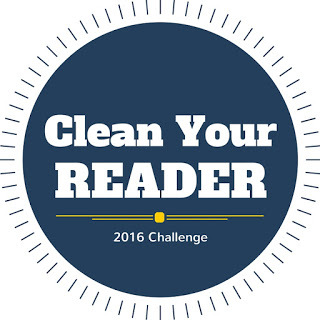 Thanks to Kerry for hosting such a great challenge and inspiring me to clean my reader! Dang!!! Those are awesome numbers - congratulations!! I'm pretty excited! And this really drives it home for me how much more liely I am to read a book if I can read it across multiple devices. Thanks! I was totally surprised! I hadn't been keeping up and then BAM! Wow! This is an interesting challenge. The books on my e-reader always get ignored since there is no physical reminder. You've done so well. Will certainly participate in this, the next time around. I tend to go to ebooks first since I can read across several devices. As happy as I am with how I did on "Clean Your Reader," I need to get back to my physical stacks for #ReadMyOwnDamnBooks! In any case, heck yes for cleaning out your reader so well! LOL, I hear ya re: focus. It's a slippery slope, that. Now that I've killed this challenge, I'm trying to get back to my own damn books on the shelves. There were some from the ereader, no doubt, but the physical ones are the ones collecting literal dust. Good for you for making such headway on physical books! I've resorted to a seasonal TBR to try and keep myself focused on paper books. I feel good about it! Good work - that's amazing! I failed so hard at this challenge. I think I read like five ebooks. But that's five less I have to read now I guess! Thank youuuuu! I tend to go to my ereader first, so this one is easier for me than ReadMyOwnDamnBooks. Five is something! You killed it! Me...not so much. Hahahaha, I rarely kill challenges, so I'll take it! Tiny Beautiful Things was so great, and probably one of my favorite audio reads. And dammit The Regional Office is Under Attack is getting SO MUCH BUZZ and I have to wait like 4 more days to get my hands on it! Gah! Thank youuu! I bet Tiny Beautiful Things would've worked better for me on audio. Hmmm. I hope you eat up Regional Office like I did when you get to it! You did awesome! I have been paying attention to my e-reader more lately, but it is still neglected! Thank you! It's just so much easier for me to pick up my devices. Especially since I often read in the middle of the night when I have insomnia. Ha! Thank you! I surprised myself!